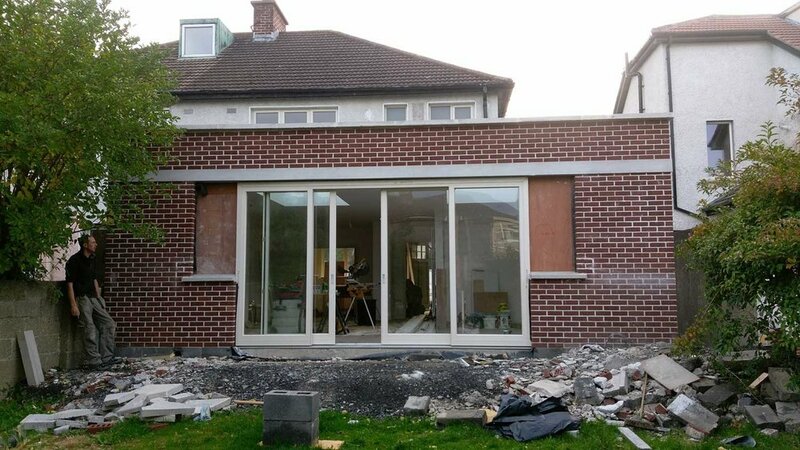 Windows in in Terenure ! Sliders in! Brick facade with boarder references the attractive brick detail at the front of these houses. Light comes in over house and is reflected back into new extension Castleknock - Builder not included!